The American Israel Public Affairs Committee (AIPAC) has been noticeably quiet about the Trump administration’s slowness to denounce the spike in anti-Semitic attacks and bomb threats, its nomination of an ambassador to Israel who described J Street as “worse than kapos,” and its ties to ethno-nationalists like White House chief strategist Stephen K. Bannon and senior adviser Stephen Miller. But AIPAC has done more than just tolerate the U.S. tilt toward extreme and often xenophobic views. Newly released tax filings show that the country’s biggest pro-Israel group financially contributed to the Center for Security Policy, the think-tank that played a pivotal role in engineering the Trump administration’s efforts to impose a ban on Muslim immigration. In 2015, AIPAC launched a 501c4 advocacy group, Citizens for a Nuclear Free Iran (CFNI). Expected to spend $20 million in July and August 2015, the group was “formed with the sole mission of educating the public ‘about the dangers of the proposed Iran deal,’” spokesman Patrick Dorton told The New York Times. The Times reported that the $20 million budget would go to ad buys in as many as 40 states as well as other advocacy. 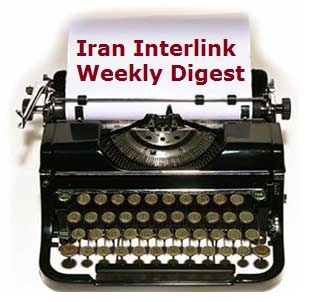 Shortly after the group launched, my colleague Ali Gharib and I noticed that the group’s website featured two items promoting an exiled, ex-terrorist Iranian opposition group, the Mojahedin-e Khalq (MEK). 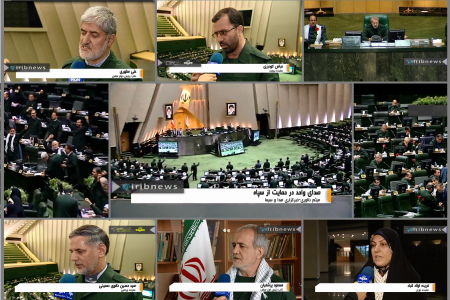 CFNI even used b-roll footage from a press conference held by the National Council of Resistance of Iran (NCRI), which the State Department deemed the MEK’s “political wing” (earning it a corresponding terrorist designation until the MEK was delisted as a terrorist organization in 2012). After we reached out for comment, AIPAC’s anti-Iran deal advocacy group scrubbed their website of the MEK related materials, seemingly acknowledging a PR misstep. But the b-roll footage remained in their television commercials and on YouTube. AIPAC’s flirtation with extreme groups appears to have gone even further than borrowing footage from the MEK. Tax disclosures reveal that CFNI contributed $60,000 to “Secure Freedom,” a donation to a group with the tax-id number 52-1601976. That tax-id number belongs to Center for Security Policy, a hawkish think tank largely devoted to advocating for greater defense spending (it received funding from Boeing, General Dynamics, Lockheed Martin, Northrup Grumman, Raytheon, and General Electric) and pushing completely unsubstantiated conspiracy theories about American Muslim and Muslim Brotherhood infiltration of the U.S. government. The contact address for the contribution was a residential address in New Orleans belonging to Jewish Institute for National Security Affairs (JINSA) staffer Marsha Halteman. Halteman did not respond to questions about why her address appeared beneath the donation. CSP is headed up by anti-Muslim conspiracy theorist Frank Gaffney who baselessly claimed that Hillary Clinton aide Huma Abedin, anti-tax activist Grover Norquist, and former George W. Bush appointee Suhail Khan were part of a Muslim Brotherhood plot to infiltrate the U.S. government. He also asserted that the Missile Defense Agency logo “appears ominously to reflect a morphing of the Islamic crescent and star with the Obama campaign logo” and helped launch an interfaith group to support Trump’s anti-Muslim agenda. Gaffney and Trump aide Kellyanne Conway played a pivotal role in bringing about the administration’s efforts to ban immigration from seven (and now six) Muslim-majority countries. None of that stopped Trump from citing the poll as his justification for a “total and complete shutdown of Muslims entering the United States until our country’s representatives can figure out what is going on,” on December 7, 2015. It’s possible that the funds went to support CSP’s advocacy opposing the Iran nuclear agreement. Nonetheless, AIPAC’s willingness to partner with an organization whose president, Frank Gaffney, was denounced by the Anti-Defamation League, the Southern Poverty Law Center and the American Conservative Union (which briefly banned him from their events after he accused political opponents of being part of a Muslim Brotherhood conspiracy) raises serious questions about AIPAC’s commitment to fighting bigotry, discrimination, and, in particular, Islamophobia. Neither AIPAC nor CSP responded to requests for comment. 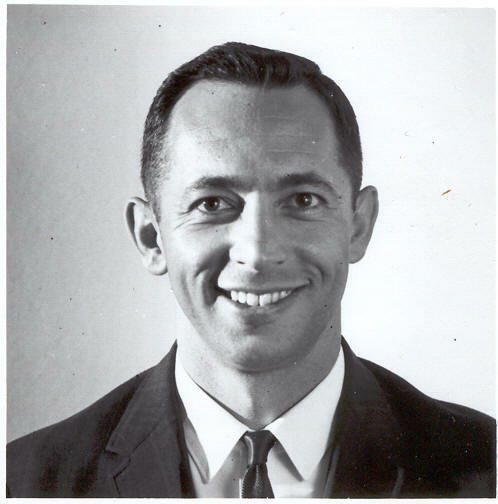 Captain Lewis Lee Hawkins killed by Mojahedin Khalq terrorists. In his response to my article on the connections between a number of potential Trump Cabinet nominees and the Iranian organization known as the Mujahidin e-Khalq (MEK), Robert Torricelli does what the group’s supporters always do: He rewrites history, and then smears the group’s critics. With one MEK supporter already tapped to be a Cabinet secretary (Elaine Chao at Transportation); several others, including John Bolton and Fran Townsend, still in discussion for senior jobs in a Trump administration; and a fourth, Newt Gingrich, taking the self-described role of “chief planner,” the character of the MEK and, by extension, its well-paid supporters matters. But there’s plenty of evidence out there. 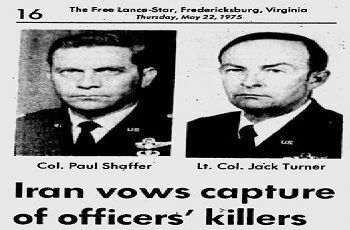 For decades, and based on U.S. intelligence, the United States government has blamed the MEK for killing three U.S. Army colonels and three U.S. contractors, bombing the facilities of numerous U.S. companies and killing innocent Iranians. 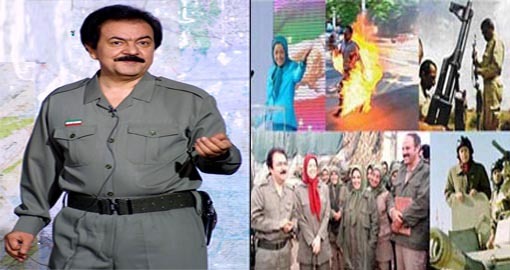 Multiple administrations have rejected efforts by the MEK and its surrogates to claim that any bad acts were the result of what Torricelli calls “a Marxist group” that briefly ran the MEK while other leaders, who later rejected this cabal, were in prison. We do not deal with the People’s Mojahedin Organization of Iran. This policy arises from our concerns about the organization’s past use of terrorism, its continuing advocacy of violence, and a fundamental contradiction between its policy and our own. First of all, the Mojahedin murdered several Americans [sic] officials in Iran in the 1970s. This is not history to us, nor do we accept the Mojahedin attempts to excuse such actions on grounds that some of the organization’s leaders were incarcerated at the time of the attacks. The organization took responsibility for the attacks, and must bear the subsequent responsibility. They also supported the occupation of our Embassy in Tehran, in which American diplomats became hostages for over a year. This is not a solitary reference. The issue came up frequently, and the answer was always the same. 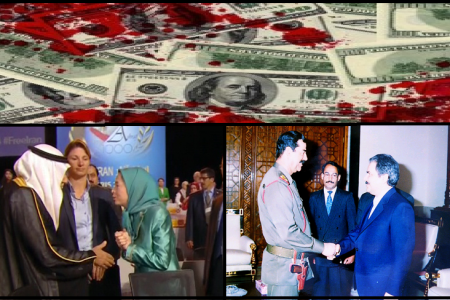 A 1992 Congressional Research Servicereport detailed the MEK’s extensive record of murder of Americans and Iranians. 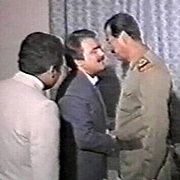 Although Torricelli denies that the MEK took part in Saddam Hussein’s repression of the Kurds after Operation Desert Storm, the report, drawing on U.S. government sources, notes, “Iraqi Kurds also claimed the Mojahedin had assisted the Iraqi army in its suppression of the Kurds, ‘a claim-substantiated by refugees who fled near the Iranian border.’” The report goes on to cite the Kurdish leader—and first president of Iraq after the fall of Saddam—Jalal Talabani, as telling reporters at the time that “5,000 Iranian Mojahedin [MEK] joined Saddam’s forces in the battle for Kirkuk” and points to Wall Street Journal reporting as well on the MEK’s part in this bloody campaign. There is also a rich scholarly literature on the MEK’s misdeeds. Indeed, in 2011, distinguished Iranian-American historian Ervand Abrahamian (author of The Iranian Mojahedin) and three dozen other leading Iran scholars including Shaul Bakhash, Gary Sick and Juan Cole all signed aletter, published in the Financial Times, that opposed removing the MEK from the State Department’s Foreign Terrorism Organization List because of its history of terrorism, cult-like behavior and lack of support among Iranians. Additionally, the MEK’s lawyer claims that in 1997, at the time of the designation, “The State Department gave as its reasons the MEK’s long record of violence, but I can tell you that as a member of the [Senate] Foreign Relations Committee, I reviewed the State Department file on the MEK and found no evidence, no testimony and no reason for the designation except placating Tehran.” But here, too, former Sen. Torricelli’s statement is incorrect. The State Department never shares the administrative record that underlies the listing of foreign terrorist organizations with anyone outside the Justice Department, the FBI, the Treasury Department and the White House. He would not have seen any State Department “file” or any evidence it contained. Torricelli dismissed my argument by labeling me, and those who pushed to designate the MEK as a terrorist group back in 1997, appeasers of Tehran. The MEK and its surrogates commonly use this attack against those who criticize the group, but it is nonsense. Those who worked on the designation have repeatedly refuted this claim about doing a favor to Iran, and I certainly carry no brief for Tehran. Indeed, in my years on the National Security Staff and as coordinator for counterterrorism at the State Department, I’ve been devoted to combating Iranian terrorism. I pressed our European partners to designate Hezbollah as a terrorist organization, which they eventually did in 2013. I briefed other countries on the Iranian plot to kill the Saudi ambassador in Washington, D.C., an effort that led to an unprecedented U.N. General Assembly condemnation of Iran in 2011. MEK supporters simply believe that anyone who won’t echo their calls for regime change in Tehran must be on the Islamic Republic’s side. They also claim that the MEK has a future as the “true democratic opposition to the mullahs”—that if and when regime change comes about in Iran, the MEK will be able to fill the void. But this is just pure wishful thinking. With no support in Iran and a gruesome history behind it, the MEK has no serious political prospects. Lastly, Torricelli implies that because several high-level officials such as Secretary Hillary Clinton and Secretary John Kerry have thanked prominent American MEK supporters for their help in pressing the remaining group members to leave Camp Ashraf and later Camp Liberty, they somehow approve of the MEK. I can’t speak for any private communications after I left State, but I would be surprised if the sentiment inside the building were any different from what it was when I was there—which is that gratitude was expressed to various American political figures for urging MEK followers, who were being used as pawns by their leadership, to start leaving Iraq. We wanted to avoid them all getting killed—86 were slaughtered in attacks in 2011 and 2013. That’s why I recommended, and Clinton signed off on, delisting the MEK—and doing so specifically as a matter of her discretion and not because of “changed circumstances,” which would have been the reason of record if the State Department felt confident that the MEK had become a genuinely trustworthy, nonviolent and democratic group. It’s probably too much to ask that Robert Torricelli or any of the renowned political figures supporting the MEK reconsider their views. 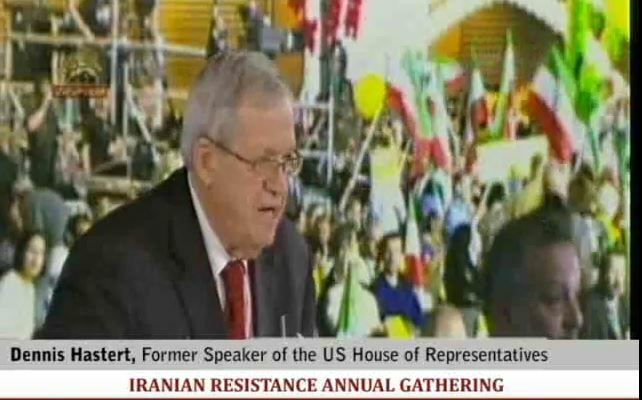 But others in Congress and the public ought to consult the abundance of evidence of the MEK’s troubling history, including the abuse of its members relayed in reports by such observers as Human Rights Watch and the account of its efforts to buy influence on Capitol Hill contained in the memoir by former Congressman (and onetime Iran-based CIA operative) Robert Ney. A more informed debate about the MEK might start there. I was at State when we took the MeK (Mojahedin Khalq, Saddam’s Private Army) off the terrorist list. But team Trump’s ties to the group still worry me. You can tell a lot about potential Cabinet nominees by the terrorist group they shill for. As President-elect Donald Trump settles on his nominees for secretary of state and other front-row positions, he has his pick of people who have lobbied for the bizarre and brutal Mujahidin e-Khalq (MeK), an Iranian resistance group that helped launch the Islamic revolution and then fell out with the Tehran regime. 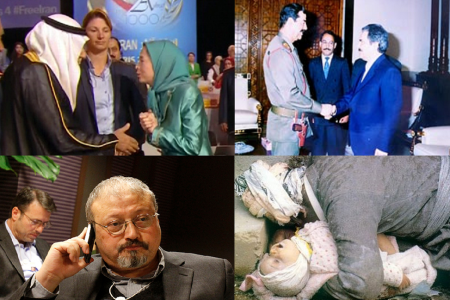 The MeK has plenty of American blood on its hands, as well as that of thousands of Iranians killed while the group was a strike force serving Saddam Hussein in the 1980s and ’90s. 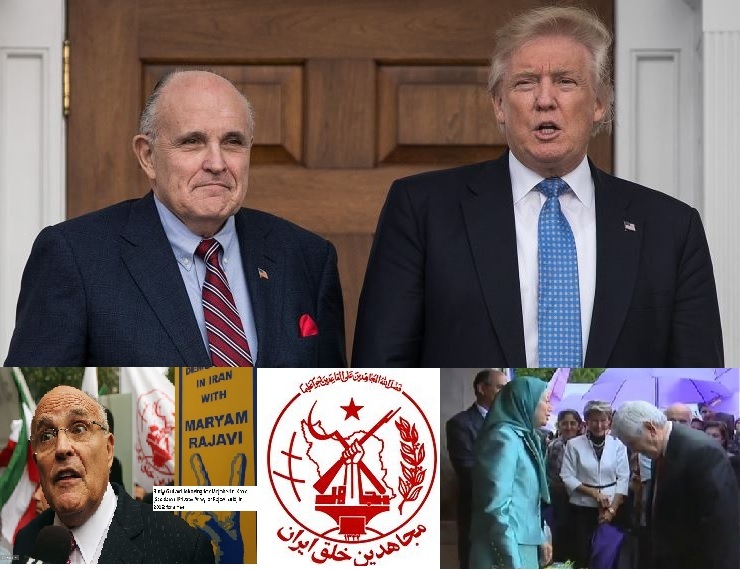 Perhaps the best known MeK votary is none other than former New York City Mayor Rudy Giuliani, reported to be on the shortlists for Trump’s secretary of state and director of national intelligence, whose ties to the group have resurfaced as the press examines the numerous possible conflicts of interest created by his international business activities. 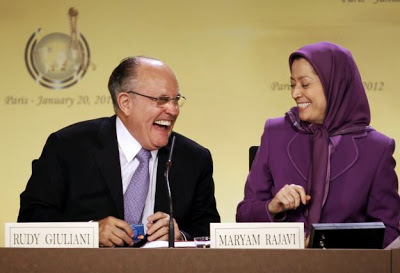 The MeK has paid Giuliani handsomely for years—$20,000 or more, and possibly a lot more—for brief appearances before the group and for lobbying to have it removed from the State Department’s list of Foreign Terrorist Organizations (FTO), which occurred in 2012. Among other MeK devotees are former U.N. Ambassador John Bolton—another secretary of state in waiting—and champion Trump booster Newt Gingrich. Former Labor Secretary Elaine Chao (also the wife of Senate Majority Leader Mitch McConnell), who suddenly appeared at Trump’s Bedminster, New Jersey, golf club on Monday for a meeting with the president-elect, has also been on the MeK payroll, as has former Bush 43 security aide Fran Townsend, whose name has been in play as a possible Trump secretary of homeland security or director of national intelligence. 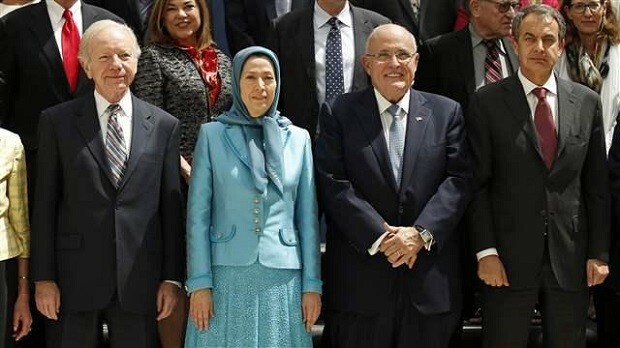 Press accounts of MeK support by Giuliani and these others often treat their ties as a curiosity or, at most, some kind of peccadillo, because the group was taken off the State Department list in 2012. I was the coordinator for counterterrorism at that time, and my office was responsible for leading the effort to decide whether the group should be removed from FTO list. While I stand by that action, I also believe that any connection to the MeK is a lot more than a curiosity. Those who embrace the group show an alarming lack of concern about its past and heedlessness about core principles of American counterterrorism policy. In Giuliani’s case in particular, the hypocrisy is rather stunning. “America’s mayor” has presented himself as a centurion in the fight against “radical Islamic terrorism” and famouslydoubtedBarack Obama’s patriotism, saying, “I do not believe that the president loves America.” Yet he appears to feel that gorging at the table of Islamo-Marxist terrorists who have murdered Americans is in no way unseemly. The history of the MeK stretches back to the 1960s, when it was founded by a group of Iranian students who opposed the shah and espoused an ideology that mixed Shiism—particularly the cult of martyrdom—and Marxism. Along with the group’s anti-regime sentiment came a hefty dose of anti-imperialism and hatred of the United States and Israel. Some of its members trained in PLO camps in Lebanon and Jordan. From the outset, the group advocated violence. Among the MeK’s many terrorist operations in the 1970s were bombings and shootings directed against American military personnel stationed in Iran—three U.S. colonels were killed during this period, as were three contractors. There was an attempted kidnapping of the U.S. ambassador to Iran, an assassination attempt against the general heading the U.S. military mission, as well as attacks against Iranian facilities belonging to General Motors, Shell Oil, Pepsi, Pan Am Airlines and others. 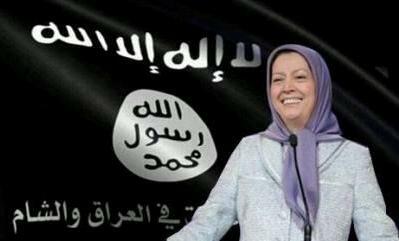 When the revolution occurred, the MeK joined forces with the religious hard-liners looking to overthrow the regime. The group supported the takeover of the U.S. embassy in November 1979, and, according to some eyewitnesses, MeK members took part. But as Iran’s revolutionary leader Ayatollah Ruhollah Khomeini consolidated power, he became suspicious of the MeK’s leadership and its Marxist ideology and blocked the group from a role in the government. The MeK then took up arms against Khomeini and his followers. Before its top cadres fled to Paris in 1981, the organization carried out a series of bombings in Tehran, and it is believed to be responsible for one that killed more than 70 members of the new regime’s leadership, including Ayatollah Mohammed Beheshti, the second most powerful man in the country. In 1986, about 7,000 MeK members relocated to Iraq, putting themselves in the service of Saddam Hussein during his war against Iran. 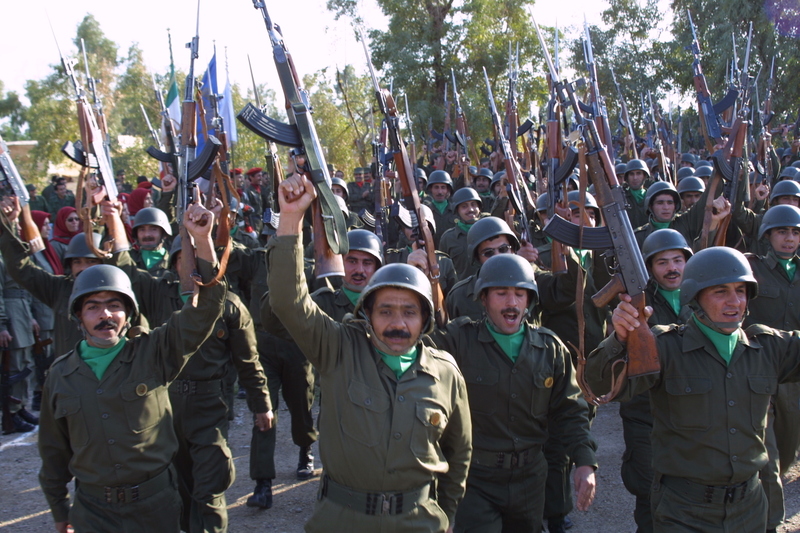 Armed with Iraqi heavy weapons, the MeK claimed its fighters killed upward of 50,000 Iranian troops. 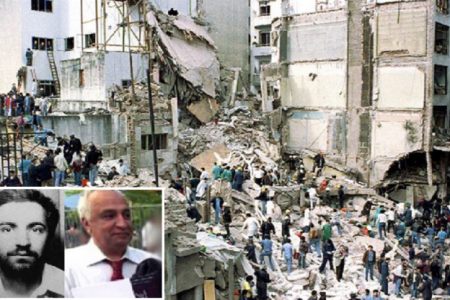 After the Iran-Iraq War ended, MeK, Saddam’s “Praetorian Guard,” as Iran expert Ray Takeyh has called it, continued launching terrorist attacks against targets inside and outside Iran. After the 1990 Gulf War, the group participated in Saddam’s bloody repression of the Shia and Kurdish uprising in Iraq. In April 1992, it staged attacks on Iranian embassies in 13 countries. Among these was a strike against the Iranian mission to the United Nations, making the MeK, along with al Qaeda and a scattering of others, one of the few international terrorist organizations to actually operate on U.S. soil. In 1997, the MeK was among the first group of 30 terrorist organizations the State Department put on the list of Foreign Terrorist Organizations, along with the worst of the worst from that period: Hezbollah, Hamas, the Abu Nidal Organization, Aum Shinrikyo and others. The group richly deserved this distinction. Although little known to most Americans, the MeK had considerably more blood on its hands than the large majority of the other groups included. The listing meant, among other things, that individuals who provided “material support” to the group could be prosecuted under U.S. law. The MeK’s inclusion on the FTO list also underscored a central principle of U.S. counterterrorism policy, namely, that the target of terrorist violence is irrelevant, and the killing of innocents to advance a political agenda is always wrong. So even though the United States may have few more determined and even deceitful foes than the government of the Islamic Republic, we still condemn terrorist violence against the regime. The U.S. has continued to embrace this policy through Republican and Democratic administrations, and opposition to terrorism in all its forms has been essential for U.S. leadership on counterterrorism issues. In the run-up to the U.S. invasion of Iraq, the administration of President George W. Bush cited Saddam’s provision of safe haven to the MeK as one example of his support for international terrorism. Faced with the juggernaut of the American invasion of 2003, the group surrendered its tanks and other weapons to U.S. forces and gathered its personnel at the largest of its military installations, Camp Ashraf, 40 miles outside Baghdad. Inexplicably, Secretary of Defense Donald Rumsfeld declared the MeK forces, members of a listed Foreign Terrorist Organization, to be “protected persons” under the Geneva Convention. 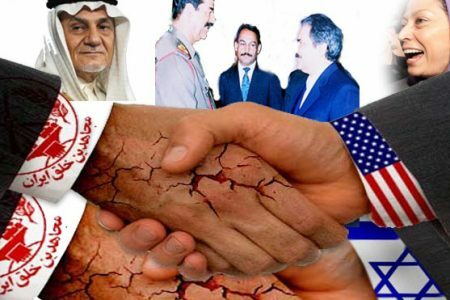 Thus began the incredible anomaly of the U.S. military protecting the MeK at Ashraf until 2009, when a new status of forces agreement turned responsibility over to the Iraqi authorities. With its world turned upside down in the wake of Operation Iraqi Freedom, the MeK sought to recast itself as the legitimate opposition to the Islamic Republic and endear itself to U.S. advocates of regime change in Iran. Beginning around 2003, the group was led, as it is today, from Paris by Maryam Rajavi, the wife of group founder Massoud Rajavi, who mysteriously disappeared around the time of the invasion. The MeK, whose ability to carry out attacks appeared to be sharply curtailed by the American occupation, claimed—though with scant proof—that it had long since renounced violence—and claimed, as well, to have embraced democracy. Sometime around then, it also began enlisting U.S. politicians to support its effort to have the FTO designation removed. 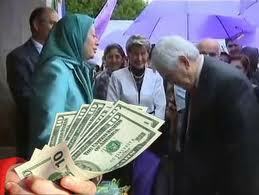 Money washes away all sins in Washington, and the cash that the MeK offered would-be proponents came in a geyser. 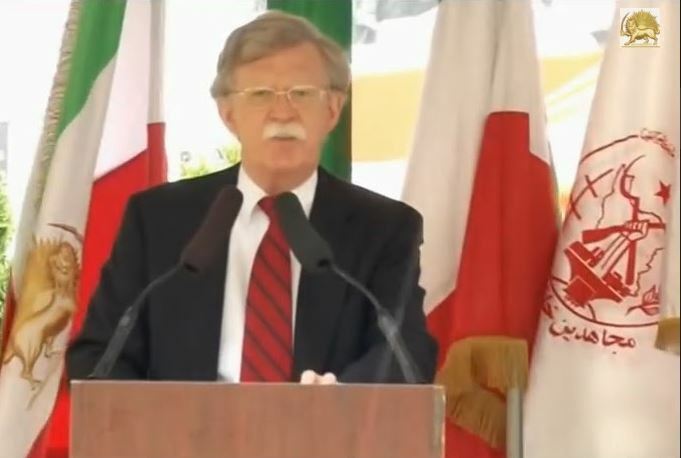 In addition to longtime regime-change advocates like Bolton, who recently boasted before a MeK crowd in Paris that he had been engaged with them for a decade, the group signed up Republicans and Democrats en masse. Former Attorney General Michael Mukasey, former Homeland Security Secretary Tom Ridge, former FBI Director Louis Freeh, former DNC chair Howard Dean, former Chairman of the Joint Chiefs Hugh Shelton, former Obama National Security Adviser General Jim Jones, former Pennsylvania Governor Ed Rendell—the list went on and on. 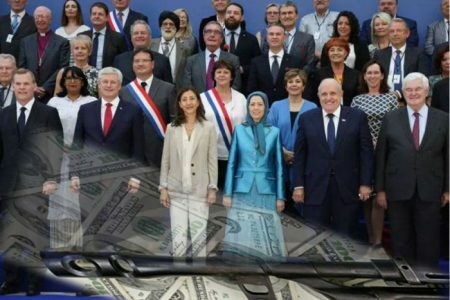 The MeK appears to have built its stable of supporters by offering them lavish fees to speak at events in the U.S. and abroad that denounced Iran and promoted the group itself. They lobbied the secretary of state and the Bureau of Legislative Affairs for the most part, though they occasionally tried to get to me too, as coordinator for counterterrorism. Scores of notables were enlisted in Europe, too—a member of the British House of Lords showed up in my office one day under false pretenses to discuss the FTO listing only to be summarily ejected. No designated terrorist group had ever mounted a campaign like this before. Indeed, as a stampede of hogs to the trough, it was astonishing by any Washington standard. Exactly where all the money came from remains unknown. Most of those who hitched their wagon to the MeK appeared to be getting $15,000 to $20,000 or more per appearance at these public events, and they were presumably happy to add their names to whatever open letters demanding better treatment for the group that were put in front of them. 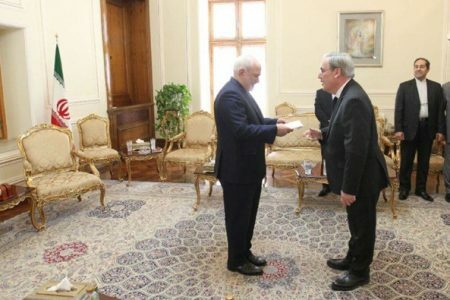 Many added their name to amicus briefs in support of an unprecedented legal action by the group seeking delisting—the MeK’s lawyer was former New Jersey Democratic Senator Bob Torricelli. (I’m pretty confident about these figures. Shortly after leaving the State Department, I was offered a five-figure sum to appear at a MeK-sponsored event. I know other former senior officials who received similar offers and declined them.) Group supporters claimed the money came from the contributions of ordinary Iranians in exile, but the sums seemed far too great. Rumors circulated about a vast hoard of cash that Saddam had bestowed on the group. Another view was Iran-hating Gulf Arabs were providing the lucre. 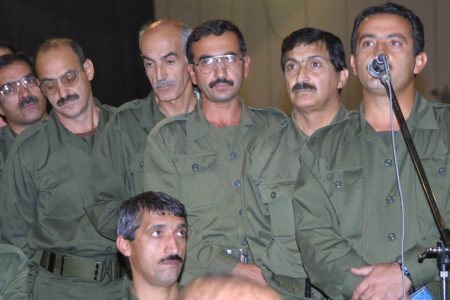 In 2012, the issue of the MeK FTO designation became even more high-profile—in part because of the lawsuit but, more urgently, because of the possibility of a massacre at Camp Ashraf. American troops were no longer defending the camp, and the Iraqi government of Nouri al-Maliki, who had a close relationship with Tehran, wanted the hated MeK gone. 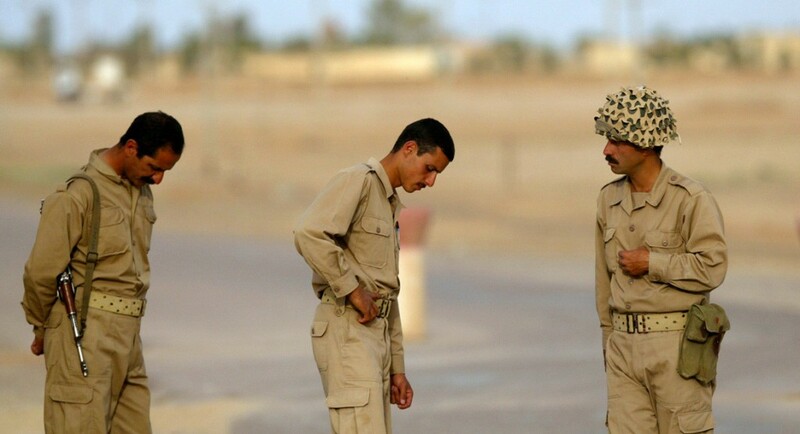 Beginning in 2009, Iraqi military and Shia militias attacked the camp on several occasions. In April 2011, 34 inhabitants of Ashraf were killed and hundreds wounded in one such attack. For Secretary of State Hillary Clinton, the priority became averting more killing and getting the MeK members relocated. Such a movement, however, was inconceivable until the group was delisted. No country would give refuge to a bunch of terrorists. The issue consumed an enormous amount of the time and energy of the Department’s 7th floor, my team in the Counterterrorism Bureau, the Office of the Legal Advisor, the Near East Bureau and the Justice Department. The staff of the Counterterrorism Bureau opposed delisting, a step that is itself a rare occurrence reserved almost exclusively for groups that had become defunct. 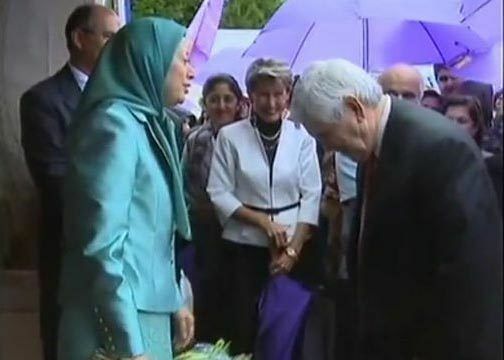 Although the MeK professed to having forsworn violence, there was insufficient confidence in that pledge. The 3,400 or so remaining MeK members were of course unlikely to do much of anything while bottled up in Camp Ashraf, but who knew what they would do if let out? Moreover, by presenting itself as an opposition force that supported the overthrow of the regime in Tehran, the MeK seemed only a few steps from taking up arms again. Even more unsettling was the sheer creepiness of the group. 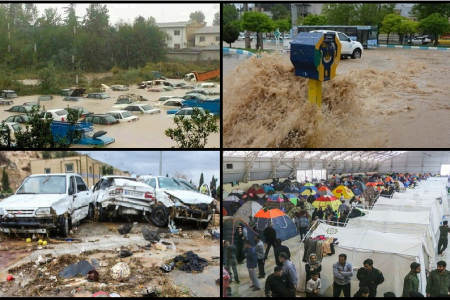 While Maryam Rajavi was presiding over enormous conferences with American political celebrities and seas of smiling, waving people in Paris, at Camp Ashraf, the MeK leadership treated its people appallingly. Visitors, including from the U.N., painted a picture of relentless intimidation, shaming and coercion of the inhabitants by camp leaders. The MeK, which is often described as a cult, had a long history of requiring that its members divorce and remain celibate. Now, it leaders were resolved that the group would remain together and none of the members would be relocated individually or in small groups—the Ashraf group was a bargaining chip that the leadership was cynically using for future leverage. 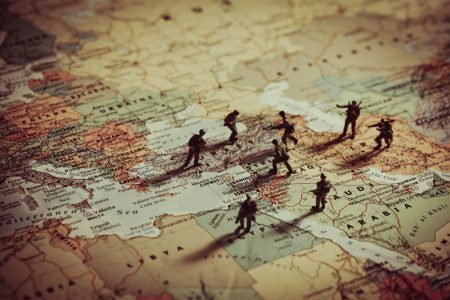 As the discussion within the U.S. government went on in 2012, the Iraqis became increasingly impatient, and the fear of renewed violence grew. The State Department finally designed a solution that would make delisting in essence a self-fulfilling step. 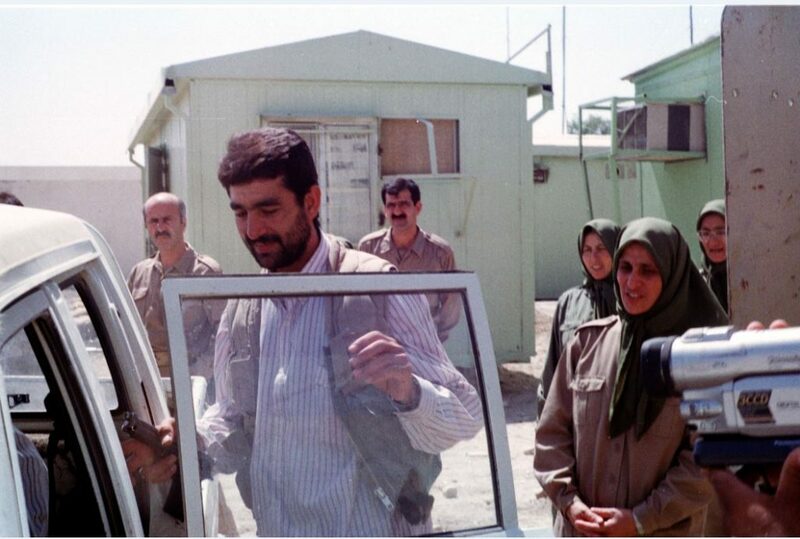 That is, the MeK leadership was informed that only by accepting relocation to a place called Camp Liberty near the Baghdad Airport and agreeing that its members would be farmed out to new homes around the world would the group be removed from the FTO list. In essence, the group was being dissolved as it was delisted. Even this the MeK objected to, and it haggled over the plan for weeks. Faced with the possibility that the U.S. would leave the MeK on the terrorist list and walk away, the group finally capitulated. The decision to remove the MeK from the FTO list had taken so long that there was relief at State that the ordeal was over, but little satisfaction. When the department announced the delisting in September 2012, it made its ambivalence evident. With today’s actions, the Department does not overlook or forget the MEK’s past acts of terrorism, including its involvement in the killing of U.S. citizens in Iran in the 1970s and an attack on U.S. soil in 1992. The department also has serious concerns about the MEK as an organization, particularly with regard to allegations of abuse committed against its own members. The secretary’s decision today took into account the MEK’s public renunciation of violence, the absence of confirmed acts of terrorism by the MEK for more than a decade, and its cooperation in the peaceful closure of Camp Ashraf, its historic paramilitary base. The United States has consistently maintained a humanitarian interest in seeking the safe, secure and humane resolution of the situation at Camp Ashraf, as well as in supporting the United Nations-led efforts to relocate eligible former Ashraf residents outside of Iraq. 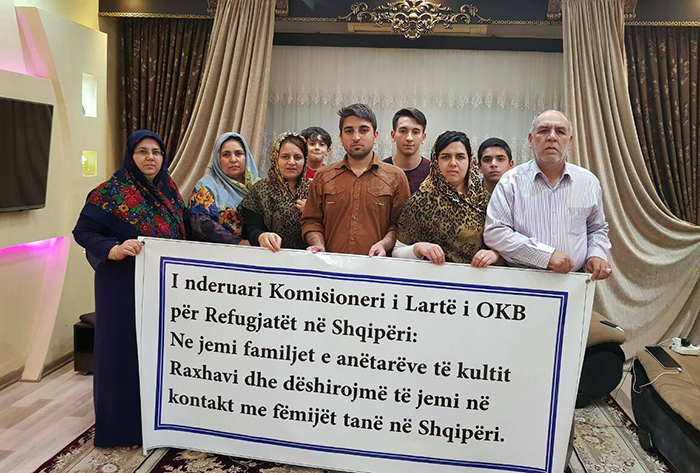 The final Ashraf inhabitants were relocated from Camp Liberty to Albania—where many of the group’s members wound up after being turned down by most other countries—just this past September. 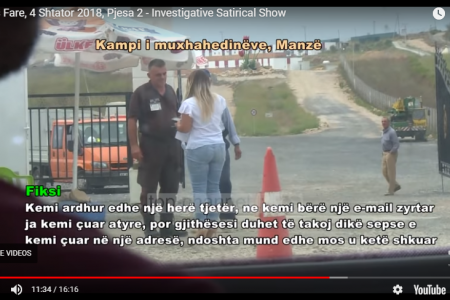 What the group does with its rank-and-file next is hard to know, and there has been little reliable reporting on their activities in Albania. For the moment, all eyes are on the group’s effort to ingratiate itself with U.S. policymakers and legislators, which it conducts now from its office on Pennsylvania Avenue. The Treasury ended its inquiry into the funding of MeK surrogates after the group was delisted—and with it any hope of gathering more information from MeK proponents on their financial relations with the group, or where all that money came from. The love affair with the MeK continues to mystify. For some, like Bolton, there is clearly an unshakeable certainty that the MeK will play a role in changing the regime in Tehran. Bolton’s reputation for dogmatism is well-earned in this case: Serious scholars of Iran all agree that the MeK is universally loathed in Iran, where no one forgets its service to Saddam or its slaughter of Iranian conscripts and others. 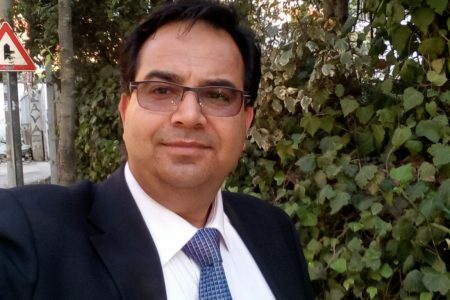 Iranian reformers, for their part, fear the MeK is girding to play such a role, and they were aghast at the delisting. “The MEK does not have a political future in Iran, but they will turn into a dangerous arm to serve U.S. interests,” one reformist political analyst told the Financial Times at the time. 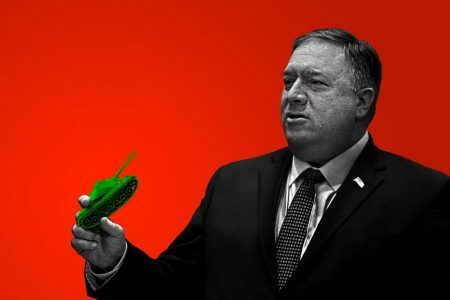 “Intellectuals have long been disappointed with the U.S. but now even ordinary Iranians realise that the U.S. does not support any democratic change in Iran.” That analyst may have been premature in his denunciation of the U.S. But if Bolton and his fellow ideologues do get a chance to pursue their regime-change designs by arming the MeK and others to carry out attacks, the U.S. can forget being a global bulwark against state-sponsored terror. With Giuliani, as perhaps with Gingrich and others, the attraction to the MeK may be more grounded in plain old greed than foreign policy. According to a financial disclosure reported on by The New York Times, Giuliani has been speechifying at hyperspeed for years, collecting $11.4 million for 124 appearances in just one year—and that was before signing up for the MeK gravy train around 2011. Perhaps he just didn’t have time to consider the character of his paymaster. Whatever the case, the irony seems not to have dawned on America’s mayor that his performance was in front of a group that had helped put the ayatollahs in power and that, at least historically, shared their general view on the utility of violence. So Rudy Giuliani, hero of 9/11, is a buckraker with few principles. It’s not so surprising to find someone like him near the head of the line for high office. The really depressing thing is—paceGingrich, Bolton, Townsend, Chao et al.—how many others are behind him in the queue. Giuliani, Trump and White House chief of staff-to-be Reince Priebus released a joint statement announcing the decision late today, an age-old practice for burying unflattering news. Priebus, the outgoing chairman of the Republican National Committee, stated that America’s mayor “was vetted by our team for any possible conflicts and passed with flying colors”—despite the payments he and his company Giuliani Partners have received from the Islamic State-funding government of Qatar or the registered terrorist group Mujahedin e-Khalq, a banished Iranian political party. Instead, the president-elect’s press office insisted Giuliani had voluntarily “removed his name from consideration for a position in the new administration” all the way back on November 29. Giuliani, who went from demurring over whether to back Trump to becoming one of his most strident surrogates, neglected to elaborate on what those “reasons” for preferring not to get a gig in the federal government were. He did, however, claim it was nothing personal. Trump has also considered former Massachusetts Gov. Mitt Romney—one of his loudest critics in the primary season—and disgraced former Central Intelligence Agency Director and retired General David Petraeus for the helm of the State Department, which sets the country’s foreign policy. Giuliani will remain a vice chairman of Trump’s transition team. rom Mitt Romney to Rudy Giuliani: Who are Donald Trump’s top five picks for secretary of state? Probable Trump Foreign Policy cheer Mojahedin Khalq (MKO, MEK, Rajavi cult) up! Mojahedin Khalq (MKO, MEK, Rajavi cult) hanging on the Trump administration? New York Times, Editorial Board, November 17 2016:… Mr. Giuliani for instance, he was paid to deliver speeches in 2011 and 2012 defending a cultlike Iranian exile group that was on the State Department’s list of terrorist organizations. In the long list of ridiculous things Mr. Giuliani has said, his remarks about President Obama in February 2015, when the presidential campaign was gearing up, were particularly disgraceful ..